Wonder Woman Movie Review - Are You Screening? We caught a glimpse of Gal Gadot‘s Wonder Woman already, and though she nearly managed to shine through the slog that was Batman v Superman: Dawn of Justice, it would have been awfully hard to predict that she had the charisma to turn her own film into a winner. The film takes us through a little too much of the backstory, especially since the plot ultimately makes its own timeline something of an anomaly, but the setup as a whole works rather well. Young Diana is living with her Amazon kin, hoping to learn to fight, as Amazon’s are wont to do. We’re introduced to the mythology behind our adventure which, to keep to the relevant portion, results in our Amazons living in seclusion awaiting the day that Ares returns to the world to eradicate humanity. 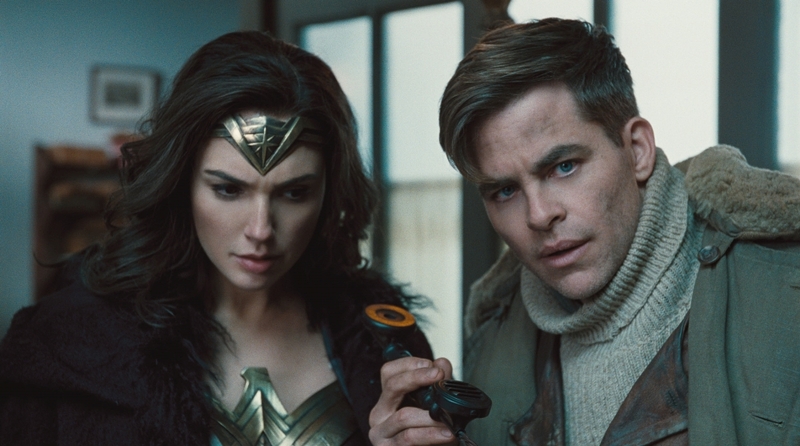 Once we get our full-grown Diana, war turns up on her doorstep in the form of Steve Trevor (Chris Pine), a pilot who crashes into the ocean with German boats hot on his heels. It doesn’t take long for Trevor to, largely unwittingly, convince Diana that she needs to leave her island and help end the war. The film progresses much as we might expect, with Diana being introduced to a world she knows nothing about, and Steve and a small crew following in the wake of her moral outrage and naivete. We throw in a villain, German General Ludendorff (Danny Huston), who isn’t interested in the impending armistice talks, and a mad scientist, Dr. Maru (Elena Anaya), so that Diana can have a target, but otherwise things meander down a traditional path. The film is an action/superhero win because Gadot has the charm to pull you in and the adventure never gets too ridiculous. Where other DC films have gotten lost in their own philosophic exposition, Wonder Woman is content to focus on Diana’s reaction to a world that doesn’t see things her way. Instead of bombastic platitudes we get an ethical vision slowly learning that it doesn’t quite fit into a world that isn’t paradise. There’s a mix to the film that doesn’t quite work, because the comedy attempts are forced and clunky, and it overplays Diana’s childlike wonder, but the adventure makes up for most of it. At least, until we get to the end. Once we bring things to a head, the movie abandons a fair amount of what pulled us along so effectively. The action is labored, the soliloquies seem to be from another film, and the crescendo leads to nothing much in particular. There is also an oddity to the film’s third act that increasingly avoids Gadot’s best assets, her captivating personality and deft hand with subtle dialog. In the early stages, when Diana is wearing long robes or a wool coat, she’s allowed to deliver witty dialog, engage Trevor in not-so-subtle discussions on multi-volume manifestos about physical pleasure, and even give the odd smouldering glance across a room. But, when she’s in her costume, which is obviously rather revealing, she’s largely reduced to being angry, avoiding extended dialog, and doesn’t even do a lot of facing the camera. That might seem a trivial thought, because obviously her costume is for battle, but it isn’t that simple. She spends most of the second half of the film in her costume, and it isn’t all action. Still, it’s an interesting and fun-filled ride, and while it isn’t quite a roller coaster ride, it’s still popcorn fun that hits most of its marks. 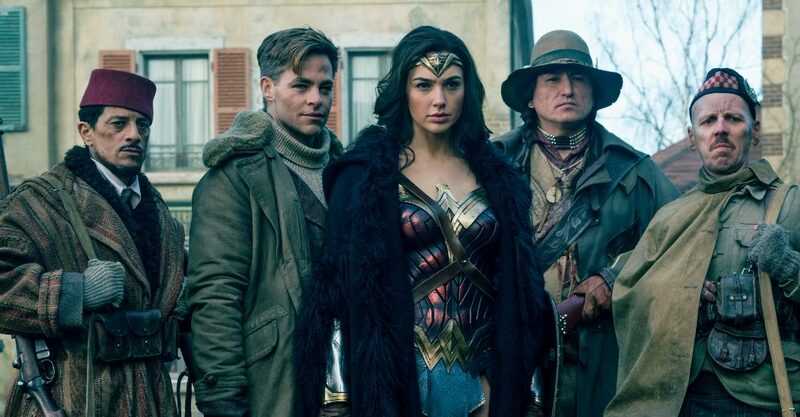 The DC Universe needed a win, and luckily Wonder Woman has a lot more going for it than might have been expected.